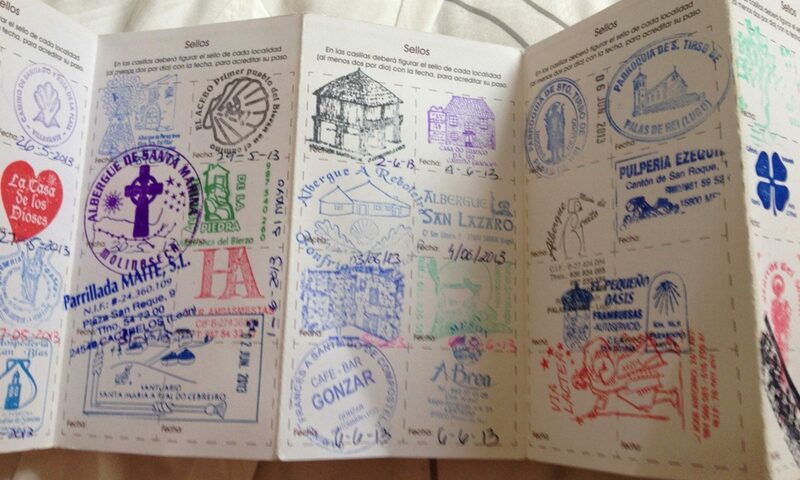 Each day on the Camino follows a similar pattern. We wake up early; have a quick breakfast; walk during the morning and early afternoon; and spend the rest of the day recovering or exploring. Although each day presents a new challenge, the days can blend together. For me, the people that we meet in each town are what make each day unique. Almost every person I have talked to loves sharing something about where they come from. In León, we had trouble finding our hotel after exploring on our own. A man named Santiago saw that we were lost and insisted on showing us the way. He talked to us about living in León for his entire life and showed us his favorite part of the city. In Astorga, we had only been in town for a few minutes when a man came up to us and began telling us about the Roman ruins we were about to pass. When we told him we had to get to our albergue to meet up with the rest of our group, he immediately offered to show us the way. He spent the entire walk to the albergue telling us about the buildings we passed. These are just two of the many people we have met in Spain, but both are perfect examples. The people we meet in the small towns and cities of Spain love their homeland and enjoy sharing it with others. Not only are they proud of where they come from, they also know so much about Spain’s history and culture. I have learned more by just talking to people in Spain than I could from reading a textbook.